We went cruising around the northern territory, performing random acts of nothingness. That's what Doc and I do, sometimes on our camera shooting trips. Heading up HWY 58, he mentioned this establishment, looking real busy, on weekends. We passed it by and headed for the hills at the top of the island. After a few hours, driving the backroads and hillsides, it was time to start looking for lunch. I had to ask, "What kind of bikers hangout here, cyclists or, motorcyclists?" It makes a difference, to me. I didn't want to eat healthy, cyclist-freak food. Doc, assured me, it was the big, gasoline burning types of bikes. So, I put on my best gnarly Harley face and, we went inside. We were the only customers. Out of the sweltering humidity, the air-conditioning was a pleasant relief. 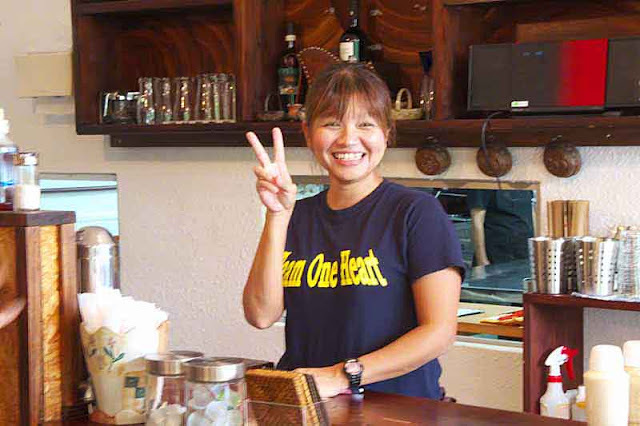 The staff were friendly and, I checked their nationality out, while speaking to them. Lots of fancy restaurants, around here, are owned by folks, who aren't Okinawans. 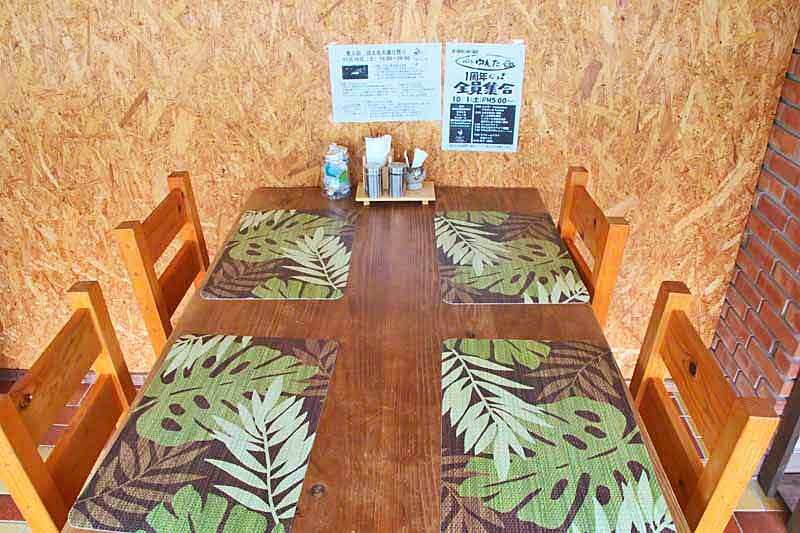 A few simple phrases of local dialect (Uchinaguchi) lets you know, who you're dealing with. We got joking and laughing. Permission was granted, to shoot the place, all I wanted. Looking back, I wish I had taken some photos of the menu, to show everyone. Normally, I'm not to crazy about restaurant spaghetti, on this island. Most cooks make it so bland, you'd wish, you stayed home and, cooked your own. 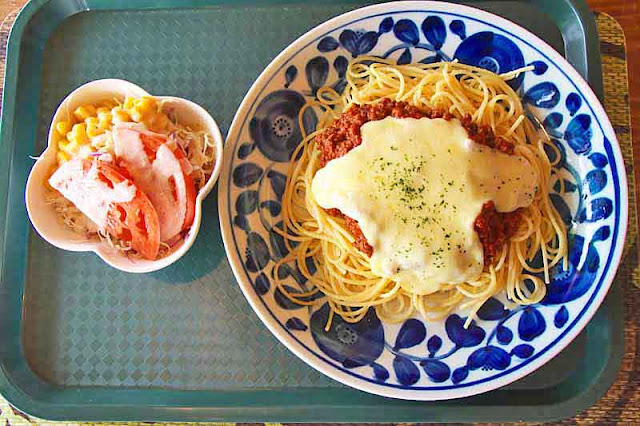 This plate, was out of this world delicious; loaded with spicy meat, sauce and cheese. If this place was within walking distance from my office, I'd eat lunch there every day. With Doc doing the driving, I figure it's the right thing to do; pay for lunch. The tab, for the two of us, including drinks, was only about ten bucks. 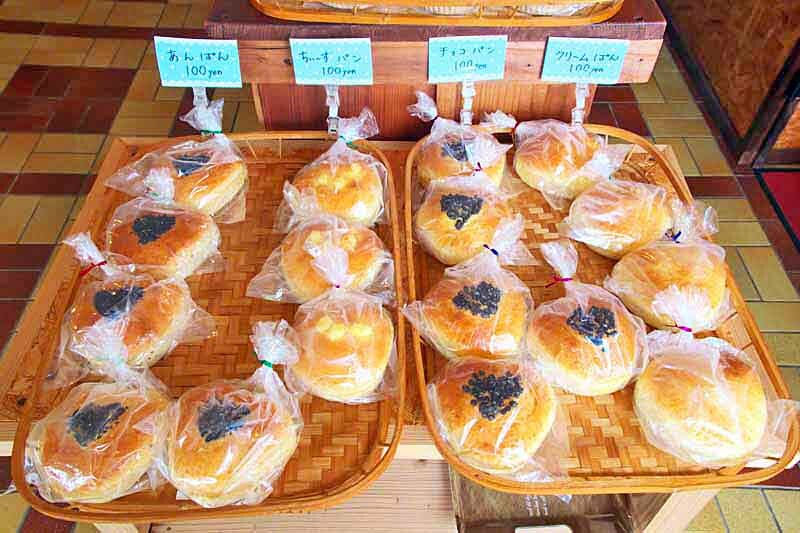 So, I picked up 10 of those pastries for the grand-kids and, blew another 1,000 yen. Fooling around with the waitress, I asked if she was single and, she said,"Yes." Pretending, I was a Harley dude I said, "Me too. Evenings only." One of these days, I have to go back there, again. And, get some pictures of the menu. Remember: Eat where the bikers do, after they're gone. You can't go wrong ! 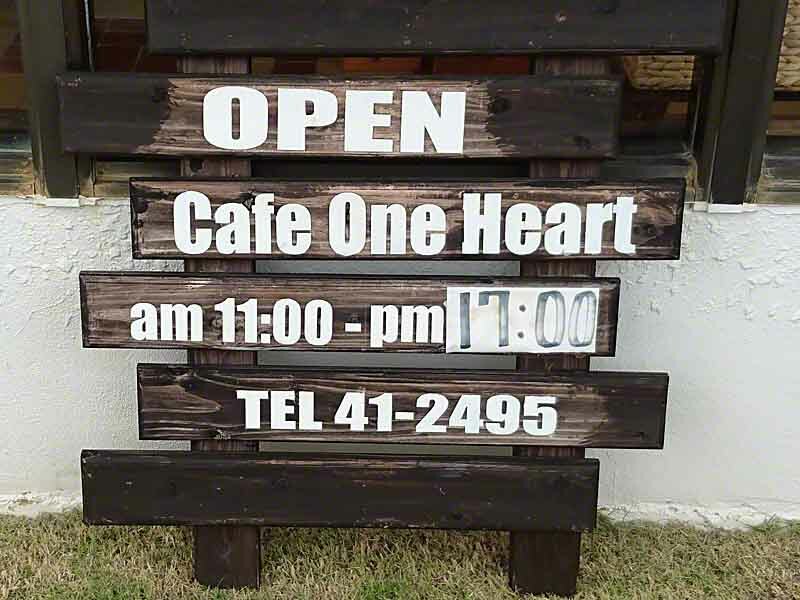 The Cafe One Heart is a few doors south on HWY 58 from this Waterwheel. Nanjo City Tourism Rocks ! Ever Wonder How Many Fish Are in the Ocean?